You can donate all your broken and unwanted jewellery to raise money for Pancreatic Cancer Action, by send them to Recycle for Good Causes. If you have any gold, silver, odd earrings, broken chains, costume jewellery and watches, you can recycle them at no cost to you whilst making money for Pancreatic Cancer Action. We recycle any jewellery – gold, silver, costume jewellery, watches, broken and damaged items (like odd earrings, snapped chains or items with missing stones). If you would like to send your jewellery recycling to us, simply wrap, pack, print label and send! 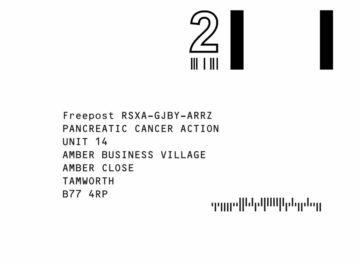 You can now donate your used stamps to raise much needed funds for Pancreatic Cancer Action. All kinds of stamps are welcome, on or off paper. Alternatively if you would be interested in collecting larger items on behalf of Pancreatic Cancer Action you could start a Recycling Project with us.